Power Bank has become one of the essential accessories nowadays. As nowadays people are using more than just calling and receiving a call. So, the more powerful battery is needed and Phone manufacturer is trying to match that but still, they are far away from what the user requirement. So, now people have to use power bank for serving this purpose. Power Bank is the Li ion polymer rechargeable battery with a high capacity which is once charged completely can be used to charge your phone more than once without the need of any external power socket. The most important factors which compel people to use it is its portability. You can easily carry it where you want. It is the best companion for you if you are a traveler. 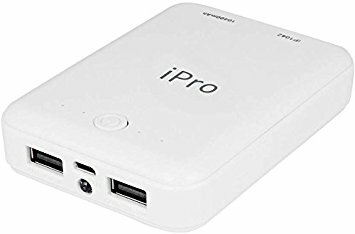 What to see before buying a power bank? These are the few things which you must see before buy best power bank under 1000 but your choice may vary from one another as per your usage. Worth Reading: How to Solve Taskbar Not Working Windows 10? This is an amazing product from the ambrane with a decent look and good output power. It’s 10000 mah battery capacity is decent enough for daily use. If you are a traveler or you are the one who doesn’t have access to the power socket for days then it wouldn’t be a perfect choice for you. But in daily use its one of the best in the market. It has two output port and one more thing that both have output specification as 2.1 ampere. It has a battery indicator on the front which will give your perfect idea of the battery status. As per the dimension of this power bank you can easily carry it in your pockets. But one thing that can be regarded as the cons is that the ports are on the side so you can use it for charging your phone while carrying it in your pockets. Its weight is about 300 grams which are not very bulky but yeah it could be a problem for few. Overall it is a good product for the price at which it is sold. This power bank has a amazing feature which compelled me to add this to my list. This power bank has a capacity of 11000 mah which is decent as i had already mentioned in above power bank description. The actual power which it delivers is around 8000-9000 mah which is pretty good. The amazing feature which I was talking about is the pass through charging. Now you may be thinking what does it mean? If you have passed through charging then you can charge your phone while charging your power bank which is a unique feature not come with every power bank. It has three output ports but if you use two or more ports then you may face little heating problem but you can easily ignore it. Again if you think of weight then, to be honest, it is little bulkier. It would be a great purchase if you buy this power bank. This power bank is the cheapest on my list. It might not be as good as other in my list but it’s worth the money it charges. The battery capacity which it gives is quite decent to charge your phone twice.Its weight is 350 gram which is little bulkier but the price is also less. It has a two output port. So, you can easily charge two phones at a time. This power bank also has an emergency light which could be of great help in case of a sudden light cut or in dark. The power bank of this brand usually comes in two color invariant i.e. black and gray.It has a Lithium ion battery which is usually preferred in case of power bank. Its 11000 mah battery allows you to charge your phone more than twice if it is completely charged. The dimension wise this power bank is good enough to be carried in your jeans pocket. This power bank is not so heavy. 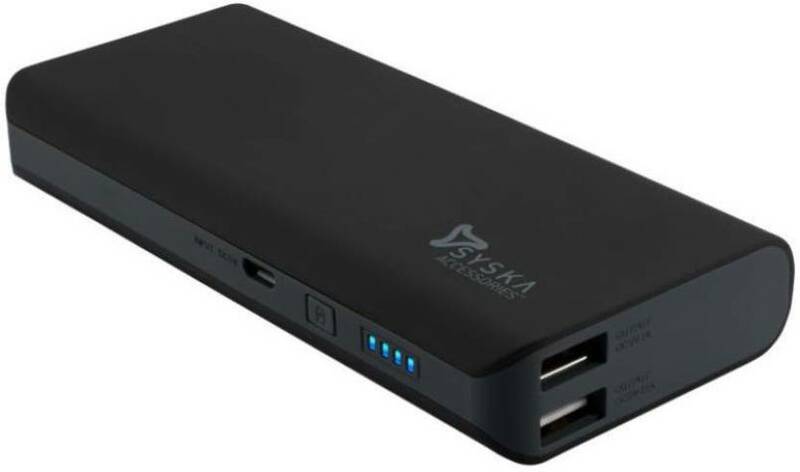 Actually, this power bank is not manufactured by the Syska itself but it is a chine power bank marketed by syska. At this price range this power bank can be thought of but if you have a higher budget then you can buy many other which better specs and good build. 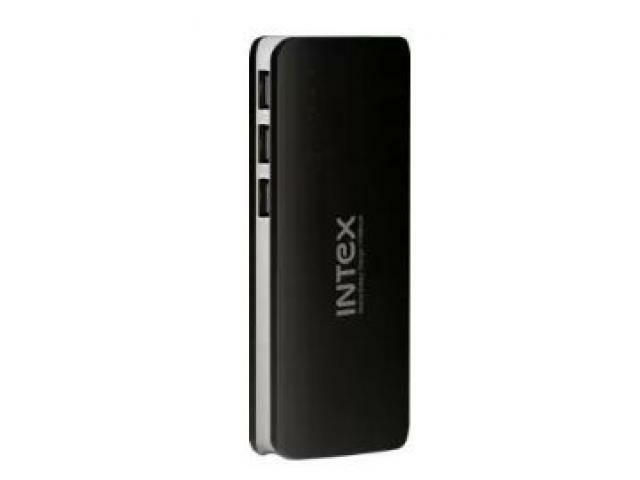 I might add one to complete the list of five which would appeal to many people but to be honest these are the only power bank which is good in this price range as per our knowledge and can be trusted upon. 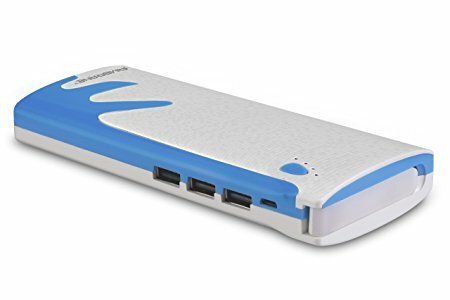 Give your review in the comment section about this best power bank under 1000. 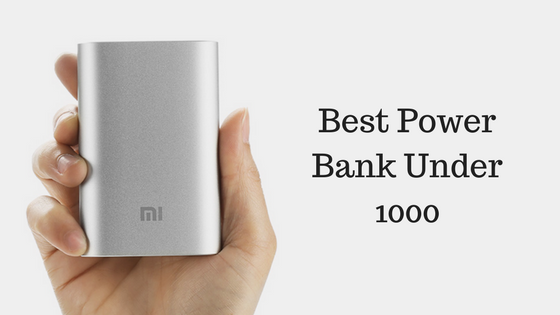 If you had used any good power bank under 1000 then do tell us in the comment section we would be glad to add it to our list.